Looking for a new Renault Kadjar for sale? Browse our extensive range of Renault Kadjar cars for sale and find our latest deals at your local Bristol Street Motors Renault dealership. The Kadjar is an older brother to the Captur crossover, with options for a turbo diesel engine starting at 1.5L. Like its sibling, its fuel efficient, with some models capable of 74.3 mpg while kicking out a very respective 130bhp. The car comes with four trim levels for you to pick and choose, as well as bristling array of gadgets and technologies. 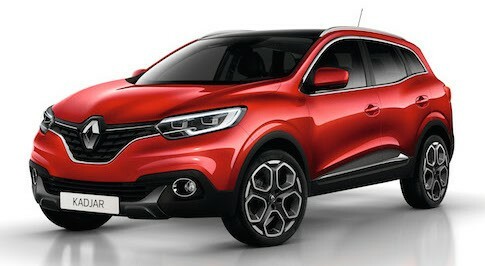 The Renault Kadjar comes with either front wheel or four-wheel drive. Visit your local Bristol Street Motors Renault dealership to explore the Kadjar in detail, find out why it�s the ideal family car with a 472-lite boot space and to take it out for a test drive.